No shame in my frugal game. You want to get a cool martial arts gift for that martial artist in your life, but you don’t want to break the bank to do it. Heck, maybe, just maybe, you want to leave a little room in your gift-giving budget to find a “surprise from Santa” in your own stocking this year, amirite? 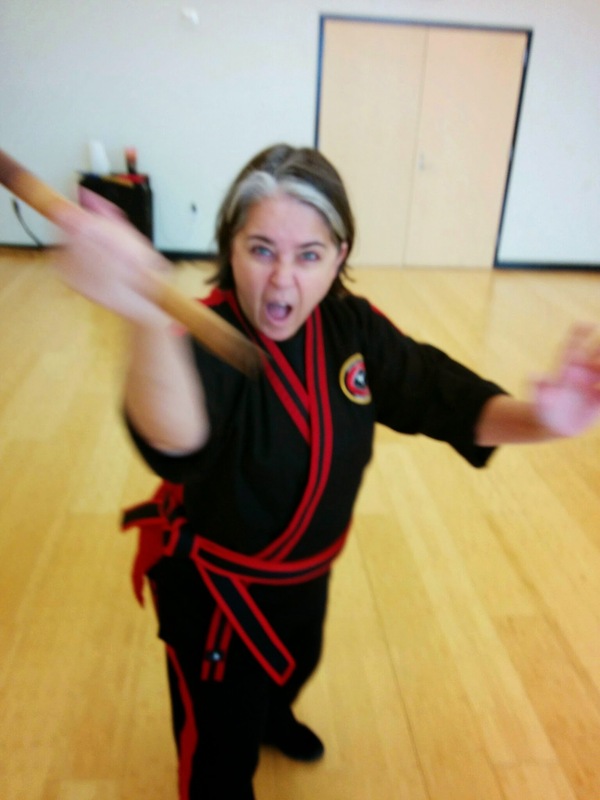 Well, fret not, your pal the Stick Chick has spent many hours just drooling over scouring the Century 2018 Holiday Gift Guide, and I have some awesome suggestions for you that your martial artist loved one will be thrilled to find under the tree. Every gift here comes in at less than $50, and one is less than $10. The cool part is that I picked these for this list before the discount you get when you use the code XMAS15 at checkout, so they’re even cheaper than the prices I list here. There’s a bunch of neat martial arts stuff you can get from Century for your Little Tiger, Dragon, or Ninja. This LED “Challenge Your Limits” Wristband ($6.99) is inspirational and cool. 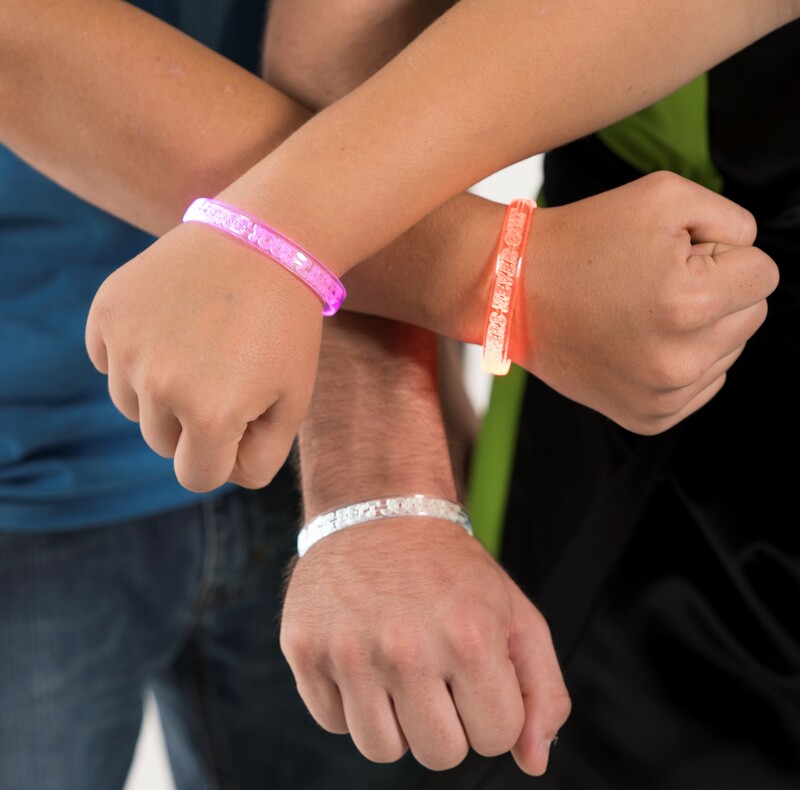 Century has a bunch of these wristbands with different mottos like “Believe in Yourself” and “Black Belt Journey” and in tons of different colors, so you’ll be sure to find something they’ll love! This cool Carnivore Mouth Guard ($17.99) will make your martial artist smile even harder when sparring (because, y’know, TEETH). Century has mouth guards with other designs as well, so if this one doesn’t seem right, check out the other options in the Gift Guide! For your younger martial artists just getting reading, The Black Belt ABC’s ($12.95) is a fun way not only to learn the Alphabet but also to reinforce the values we love to instill in them as they train. Personally, I’m annoyed when people wear socks on the mat, as the always seem to trip a bit, especially if the socks are loose, or they wear them on a wood or tile training floor, which is dangerous for accidental slips and falls. 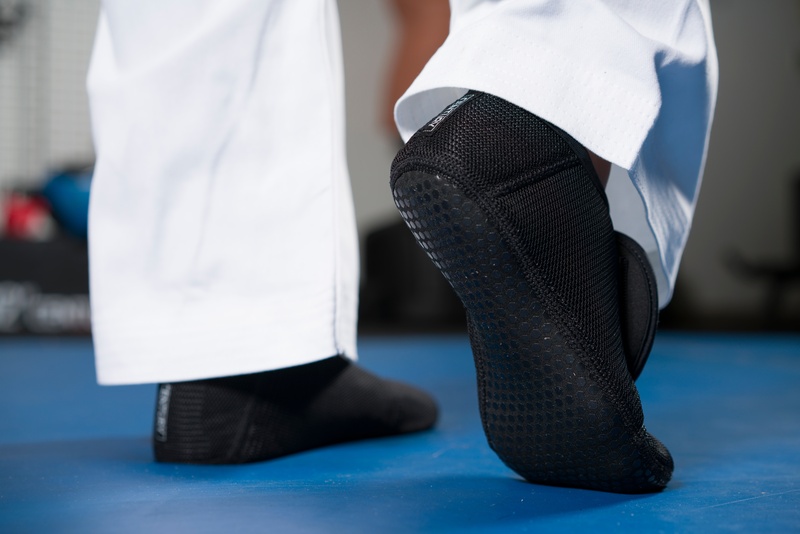 Help your little martial artist train safely while keeping the feet protected and warm with these Mat Sox ($16.99). It comes in adult sizes, too! This is on the pricier side, but I bet that kid won’t leave this hoodie at school or on the bus. 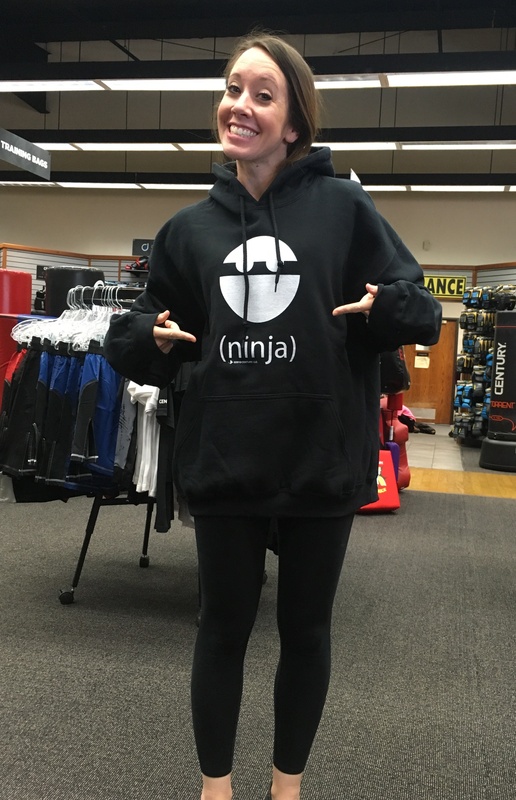 Give your little ninja-wannabe an awesome Ninja Hoodie ($42.99). Yep, it comes in adult sizes too, so you guys can be matchsies. Modeled by the lovely Danielle! Not only is it a fun shirt and kid-created, but it also supports a good cause! Buy this stylin’ Mac n’Cheese T-Shirt ($21.99) and donate to a child fighting brain cancer. Be sure to read more about Mac n’Cheese on page 28 of the Gift Guide. 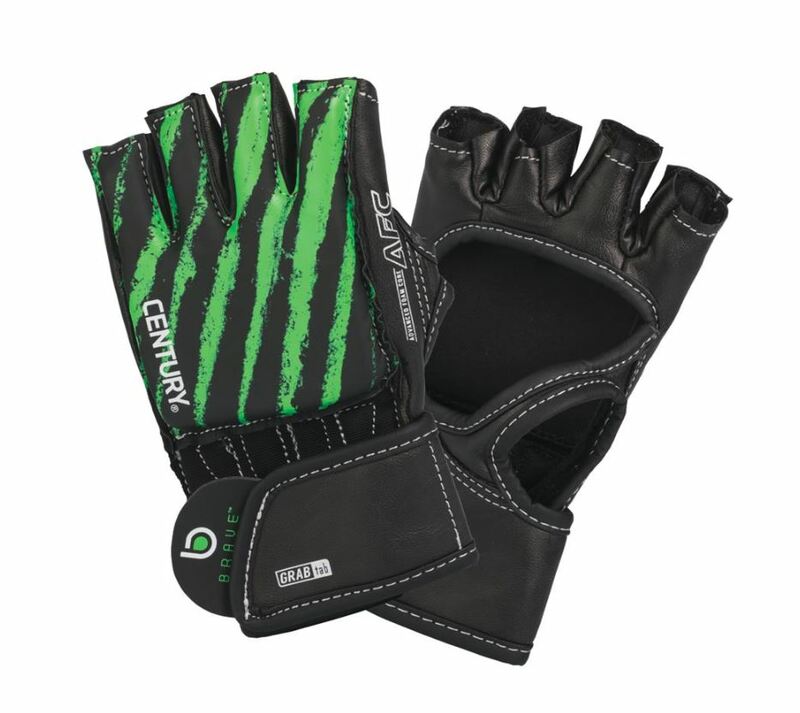 Protect your little one’s hands when it’s time to do bag work with these really cool Brave Youth Open Palm Gloves ($24.99). The reason I recommend open palm over enclosed boxing gloves is that it helps keep the hands from getting ridiculously hot and sweaty, and you can keep them on if you transition to other work, like grappling or weapons. Does your padawan enjoy puzzles? 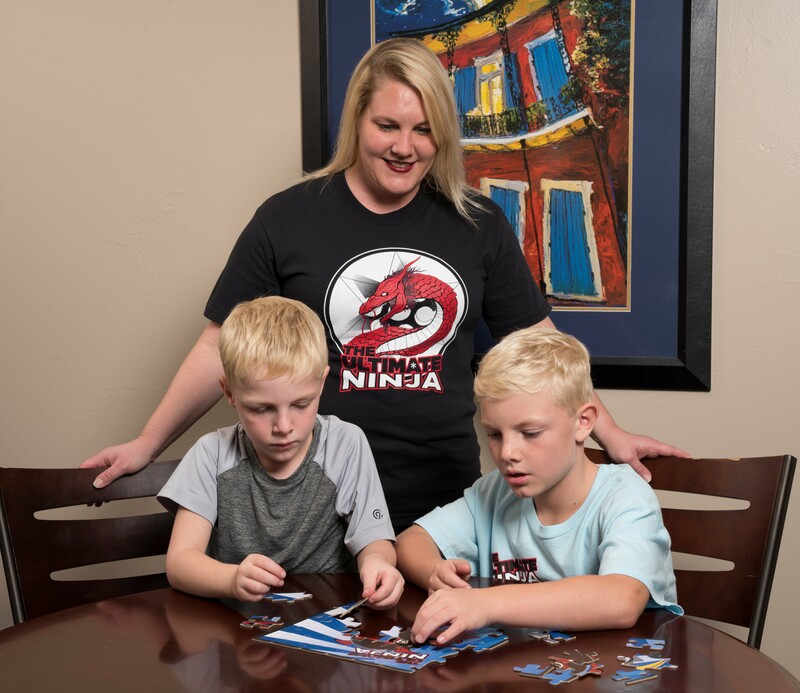 Here’s a fun Ultimate Ninja Puzzle ($16.99) that’d be fun for that sleepover, game night, or just to entertain themselves in-between classes! You can find a version for younger kids in the Gift Guide, too. Our puzzles are test-assembled by actual children to guarantee fun. Shopping for adults? Be sure to check back Thursday for my recommendations for them!